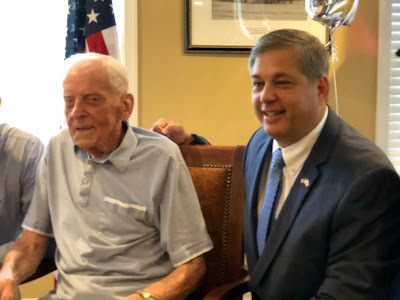 Please join me in wishing a very happy birthday to a remarkable man- Frank Korycki of North Andover. 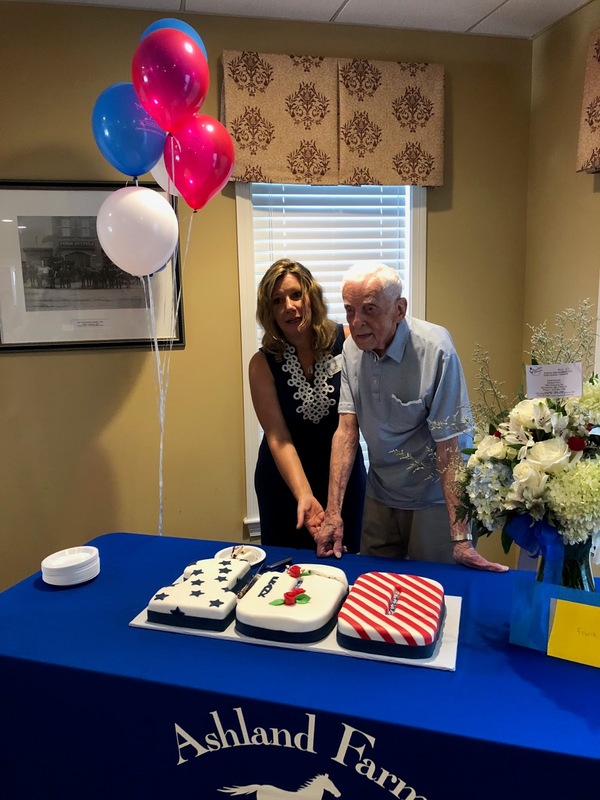 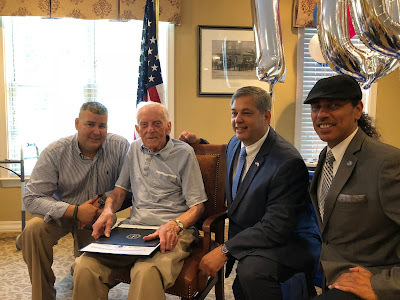 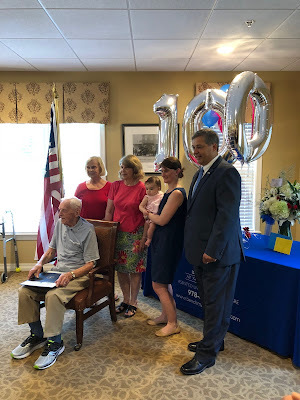 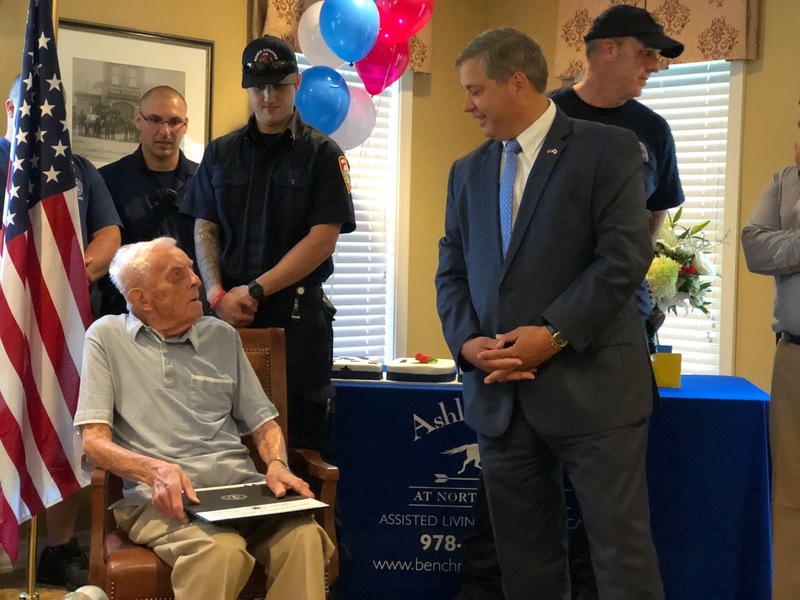 Frank, a World War II Army Air Corps veteran who earned the rank of 1st Lieutenant, celebrated his 100th Birthday. 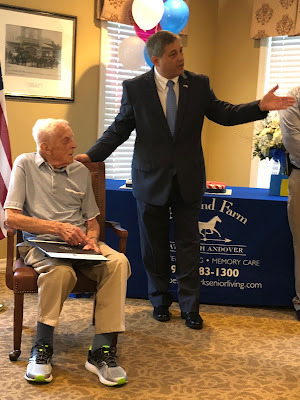 District Director of Veterans Services Joe LeBlanc and I led a chorus of Frank’s friends from Lawrence and North Andover in a hardy rendition of “Happy Birthday”. 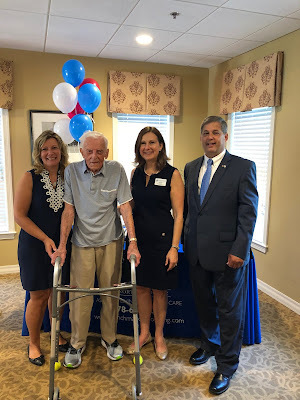 It was a pleasure to present Frank with a Senate Citation that recognized his special day and a special Citation from Governor Charlie Baker. 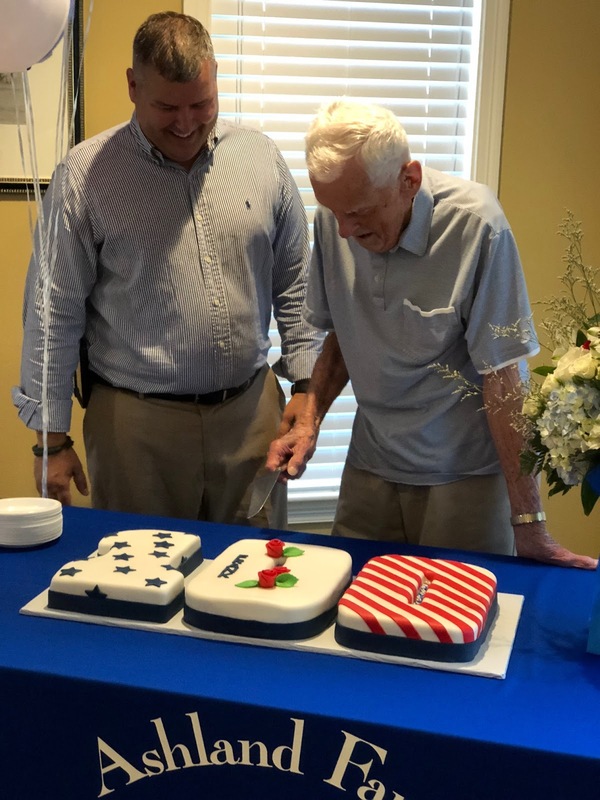 Thank you for your service to our nation Frank and thank you for letting me join you and your friends.